Dear client, thank you very much for your 5 star review you gave us. How wonderful to hear that you had a great time and stay with us in our family-run hotel. We appreciate your lovely comments. Jan as well as the rest of our team share the same thoughts / way of work and every day is like being with family and friends, it is more pleasure than work. The location of the hotel in an exclusive residential neighborhood direct at the Nymphenburg Palace with its many park palaces and museums, the botanical garden, is indeed unique in Munich, just romantic (honeymoon location number 1 in Munich!) and very safe. We want our clients to enjoy a real authentic and genuine Bavarian experience. Our clients can enjoy a wonderful choice of 12 restaurants (4 bavarian, 4 italian, 1 indian, 1 vietnamise, 2 greek) all walking distance we can all recommend. You will always find the best available rates on our hotel-own homepage and you will also get a free drink at our bar. We look forward to welcome you back again and wish you a nice week. Best regards from Munich and Nymphenburg Palace, Alexandra & Sebastian & Jan with the entire Hotel Laimer Hof team. Dear client, thank you very much for your positive valuation and for your kind comments. Also thank you to have chosen a family-run hotel. A nice and unique experience must not necessarily be expensive even in a big city like Munich. We are very happy to know that you had some wonderful days together with your daughter in our small hotel and have been positively supported by us in any way. We always try to be the most helpful hosts with recommendations and want our clients to enjoy a real Bavarian experience. The location of the hotel is indeed one of the finest in Munich, very close to Nymphenburg Palace but also very quiet and safe, simply unique with many museums and restaurants. The Munich public transportation system is very efficient (bus, tram and fast train next to the hotel!) and we do sell the tickets therefore at the reception. In the summer you can use one of our free bikes as Munich is a very bike-friendly city. We certainly have all kind of maps therefore, just come and see us! You will always find the best available rates on our hotel-own homepage and you will also get a free drink at our bar. Best regards from sunny Munich and Nymphenburg Palace, Alexandra and Sebastian with the Laimer Hof team. Dear Daniel, thank you for your lovely review. 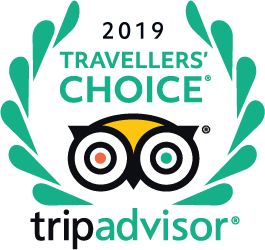 It is wonderful to hear that you liked our small and authentic Bavarian hotel as well as our good service and friendly staff. We are happy we made your stay nice and convenient. We will make sure to manage this unique family-run hotel with genuine hospitality and service (just with love and passion, this is the secret!) for many more years. Our team share the same thoughts and every day is like being with family and friends, it is more pleasure than work. Our hotel is indeed supposed to be a home away from home for our many travellers from all over the world like you and you do confirm this, thank you therefore. The Munich public transportation system is very efficient (bus, tram and fast train next to the hotel!) and we do sell the tickets therefore at the reception. Munich is a great city to be explored by bike and our complimentary bicycles are certainly ideal for this purpose. We are looking forward to the pleasure of welcoming you again soon and to provide you with another memorable stay. You will always find the best available rates on our hotel-own homepage and you will also get a free drink at our bar. We thank you for your recommendation and hope that we may welcome you again when you travel to Munich next time. Best regards from sunny Munich and Nymphenburg Palace, Alexandra and Sebastian with the Laimer Hof team. Dear Debbie, thank you very much for the great feedback and the recommendation to stay with us for our amazing hospitality, location, price as well as the beautiful and safe neighborhood. We are delighted that you really enjoyed your stay with us in our historical villa. It is wonderful for us to know that you had a great time in Munich and felt so comfortable at our Laimer Hof Hotel. We are also happy to read that you liked our excellent information which helped you to navigate your visit in Munich. We like to take as much time each client needs and indeed nobody got lost in 16 years! We are always willing to help with anything you need and wish. It always comes from the heart and we are just happy to be there for you and all the other clients from all over the world. You will always find the best available rates on our hotel-own homepage and you will also get a free drink at our bar. We would love to welcome you back and wish you a nice week. Best regards from sunny Munich and Nymphenburg Palace, Alexandra & Sebastian with the entire Laimer Hof team. Dear hotel , We would like to book your hotel ,but we have a question , If we check out on 2/22 at night around 1800pm is that possible for you ? Hi. Can you get the train from airport all the way to your stop or do you need to change? Dear James, the fast train line S1 runs every 20 minutes from the Munich airport and takes you withhin 35 minutes directly to our stop called "Laim". It is very easy, safe and efficient. We can certainly send you more detailled information if you just send you an email to the hotel. We wish you a nice week! Best regards from sunny Munich and Nymphenburg Palace, Alexandra and Sebastian with the Laimer Hof team. hello! Your hotel looks perfect for us. We are travelling to Germany in Nov /Dec for the Christmas markets. Can you tell me if this is close to the markets (walkable) .. ?? Thank you. It is 8km so not walking distance but only 10mins by tram which goes very regularly. I really liked the quiet location and great service at this hotel. There is a very good tram system and a stop not far from the hotel. Get the pass that covers up to five people as it’s cheaper even if there are only two of you. The hotel staff is very helpful making sure you can get around Munich with no problem. We were given a map, tram numbers, and a business card in case we needed to get in touch. Enjoy your stay! Are there laundry facilities available?